The entire Tomb of Forefathers and Mothers is open to Jews for the Celebration of the Forefathers and Mothers and Erev Rosh Hodesh. 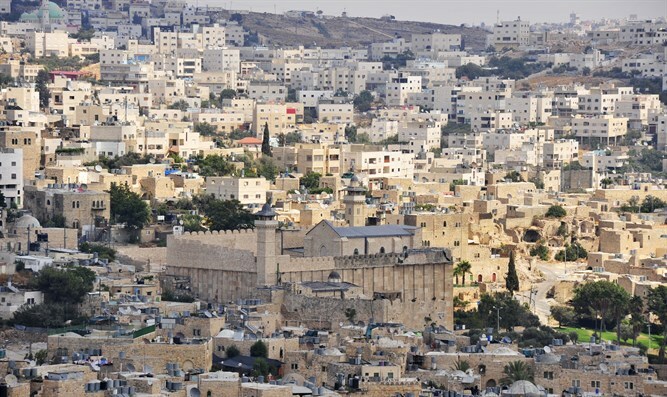 Thousands of Jews visited the Tomb of Forefathers and Mothers in Hevron Friday, for the Celebration of the Forefathers and Mothers, and Erev Rosh Hodesh Elul – the eve of the new month of Elul. Buses from all over Israel streamed to Hevron all day long. In honor of the unique day, the entire Tomb of Forefathers and Mothers is open to Jews – including the Isaac Hall. The Isaac Hall is controlled by Muslims the whole year around, except for ten days. The Tomb of Forefathers and Mothers – Me'arat HaMachpela – is the resting place of the forefathers and mothers of the Hebrew nation: Abraham, Sarah, Isaac, Rivka, Jacob and Leah. Foremother Rachel is buried at Rachel's Tomb, near Bethlehem. The Tomb is is also revered as the place where Adam and Eve were buried.